I am also happy to inform that we are in the process of amending the Minimum Wages Act. Our government is prepared to amend the Minimum Wages Act and has come forward to amend the Act. We are going to have a minimum wage Amendment Act. We are totally in direction with the Supreme Court. As per the consumer price index, there are some parameters. We have taken into account those parameters. We have given a notification, which is published, for providing minimum Rs 10,000 per month to contract workers. Two quick takeaways from the above statement. Firstly, government has no clue on how to arrive at the figure for minimum wage. Rs 10,000 seems like a number which dropped down from heaven i.e. from a babu’s pen! Any careful study would not have given such a feel good number. So, it is clear that government did not put much effort into technically determining this number. Secondly, Supreme Court has no jurisdiction over determining a minimum wage in the country, let alone having the expertise to determine its level. So government cannot invoke Supreme Court in justifying the need for any minimum wage law in the country. 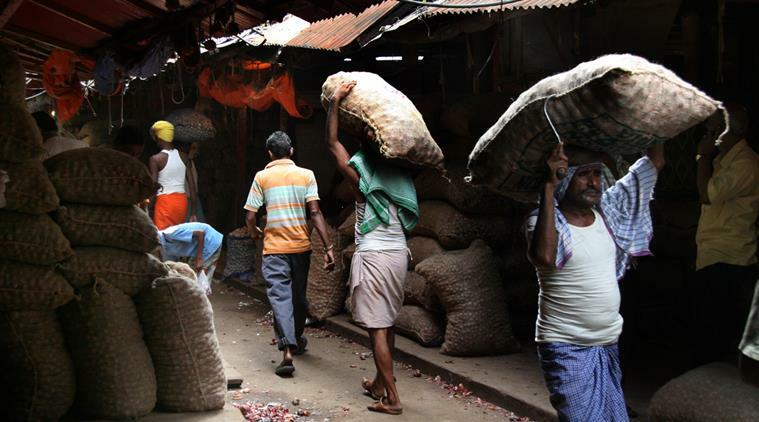 In the apparel sector, it finds India’s average wages are around $112 per month versus just $68 in Bangladesh—this does not include overtime which is an altogether different kettle of fish considering Indian law allows just half the number of hours that Bangladesh does. Since both Bangladesh and Indian workers have the same level of productivity—it takes each worker 60 minutes to stitch a woven cotton trouser—Bangladesh’s exports are growing faster than India’s. In 2010, Bangladesh exported $3.9bn of apparel to the US versus India’s $3.3bn—by 2015, Bangladesh had risen to $5.4bn while India was just $3.7bn. Any such minimum wage law is going to worsen the poverty levels in India because firms will go out of business if they cannot pay high wages. Rather than understanding why wages are so low(due to surplus labour and low productivity), government is trying to impose its writ on the people without letting the markets function. In the end, it would only help the insiders i.e. current job holders to retain their employment and get higher wages, while those outside would not be able to find any jobs due to unprofitable firms closing down and less number of new firms entering business. Unsurprisingly minimum wage bill is always appreciated by those currently employed and those who might get employed in the future. The Angry Young Man movies of Amitabh Bachchan in the 70-80s have brainwashed generation of Indians into believing that industrialists are evil. But industrialists turn evil when there are not enough industries and there are few jobs for large number of unemployed people i.e. basically scarcity creates evil. By fixing minimum wage, government will kill entry of new firms by making businesses less profitable. Less firms will mean that they will compete less for labour, which would in the end mean workers will always be in surplus. If workers are in surplus, firms can exploit them by offering low wages. So, in the end this minimum wage law will effectively reduce market wage rate by shifting more and more people from organized sector to unorganized sector where government cannot monitor wages. The above graph shows clearly the impact of change in minimum wage on employment. The employment is plotted on the right side of y-axis. The highest employment decrease is for the workers with lowest wages i.e. who earned 0-0.5 times of the minimum wage. These low skilled people see a decrease of roughly 27% in employment. So, effectively minimum wage law hits those at the bottom the hardest by taking away their jobs. Although, the impact decreases somewhat for those with higher salaries, but even for those with salaries 1.5-2 times the minimum wage, see roughly 15% reduction in their employment. But the most shocking part is that those on the top i.e. who earn more than 4 times the minimum wage also see 12% decrease in employment. This clearly shows that enforcing minimum wage actually makes some firms go out of business thus impacting everyone employed there. Given this overwhelming evidence that minimum wages hurt employment growth in developing countries, it is suicidal for India to still press forward with this law. Minimum wage will not only increase unemployment, but will also shift a large number of people from formal to informal sector, thus making them even more vulnerable. As a policy does it sound fair if it imposes such high costs on the society by making more people unemployed? The government is simply subsidizing the few employed ones (giving them Rs 10,000) by robbing unemployed people from the chance to work. This makes minimum wage policy even more unjustified and cruel because government is paying this subsidy not by taxing the entire population but taxing those poor unemployed folks who would have otherwise gotten some job sans this policy. Imagine if the government had increased tax on everyone to ensure Rs 10,000 salary and subsidized the difference between true salary and Rs 10,000 i.e. new NREGA to bring everyone to Rs 10,000 level. In that case most taxpayers would have risen against this atrocity, but since in case of minimum wage government is silently robbing Peter to pay Paul, no one would raise any hue and cry against this injustice and daylight robbery.